This concert series should have an attached disclaimer: it’s a series that is based on some of the songs sung by the original three tenors – Placido Domingo, Luciano Pavarotti and Jose Carreras – whose current singers are Carlo Napolitano, Gian Carlo Polizzy and Emil Alekperov, all of whom have moved on a bit in time from the photos on the programme. Physical changes are, of course, less important than changes in vocal quality, but it would still have been nice to have been introduced to the singers by name before the concert. 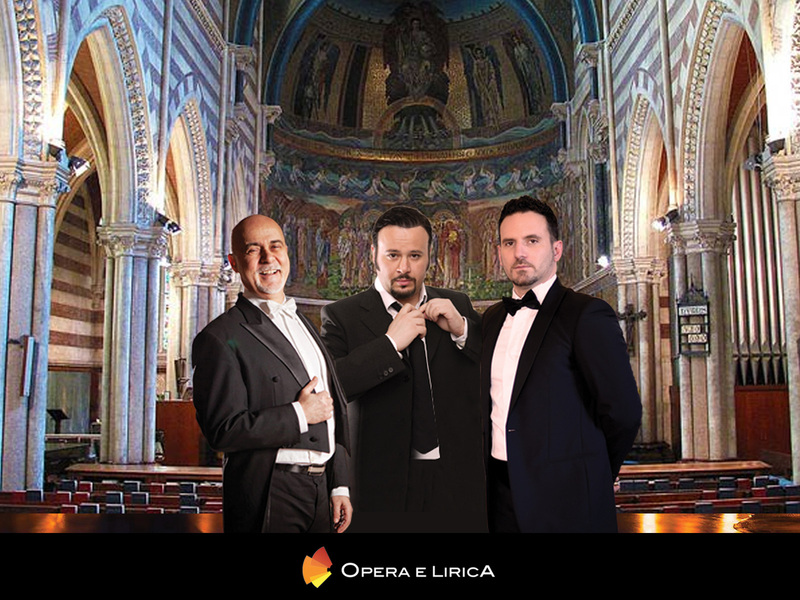 As it was, we had a master of ceremonies who welcomed us in German, English, French, Spanish and Italian, which made it clear that the spectacle, itself based on a popular series by the original three tenors, was meant for tourists who wanted an ‘authentic’ taste of Rome. (The word ‘taste’ is used deliberately here, since the concert comes with a free tasting of limoncello, while, for a higher price, visitors can opt for dinner as well as the concert). Popular concerts call for popular measures, to coin a phrase: and this review will not try to measure this event by the standards of a serious classical concert. That said, though, there is quite some scope for improvement as far as a couple of the performers are concerned. Emil Alekperov had a loud and pretty discordant vibrato which made for rather painful listening in the higher registers; and the pianist, although competent, was rather casual in his accompanying of some of the music. This was especially evident in his accompaniment to Nessun Dorma, where he managed to get some of the main chords completely wrong, not once, but repeatedly; while some amount of allowance has to be made for mistakes in a live performance, there are thresholds that, if crossed, make a professional performance into an amateur one. The string quartet made up for this in spades, and were truly professional, as was Carlo Napolitano, who is at the top of his form. Gian Carlo Polizzy was also nearly there, although there was a touch of weariness on occasion when he tried to force his voice. Among the orchestral pieces, Massenet’s Meditation on a theme of Thais was by far the best executed, with a beautifully held melody line by the first violin. Puccini’s Nessun dorma, especially when it was sung as the encore, was clearly the crowd favourite, and especially when Carlo Napolitano held the melody line. The Neapolitan songs in the second part of the programme saw some high jinks by the performers who were all on stage together, and very relaxed. The songs which stood out were old favourites: Con te partiro, O sole mio, and in particular Nel blu dipinto di blu, which was sung with brio by Carlo Napolitano. Nessun Dorma, performed by all three singers as an encore, brought this concert to an enjoyable end.